Please visit the medical records page for the request form and mailing instructions for each hospitals. You can also visit the medical records department at each hospital to obtain and submit the form. The guest relations staff at hospital information desks will be happy to direct you to the department. Any patient can request a copy of their medical records. If the patient is unable to make the request, the person listed as their health care proxy or power of attorney can do so. Is there a fee for medical records? Medical records cost 75 cents per page. However, if your physician requests the records to be sent to his/her office, there is no charge. The Medical Records department is located on the first floor of Buffalo General Medical Center (D-Section). The department is open Monday-Friday, 9 a.m.- 4 p.m. If you have questions, please call (716) 859-2734. The Medical Records Department at DeGraff Memorial Hospital is located on the first floor near the cafeteria. The Medical Records department is open Monday-Friday, 7 a.m.- 3 p.m. If you have questions, please call (716) 690-2016. The Medical Records Department is located on the ground floor at Millard Fillmore Suburban Hospital. When entering the building from the north entrance it is on the right hand side. 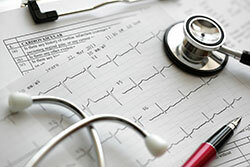 The Medical Records department also referred to as Health Information Management is open Monday-Friday, 7 a.m.- 5 p.m. If you have questions, please call (716) 568-6500.